Focus on Force: When police take aim, who's watching? In Cincinnati, Sam DuBose was missing a front license plate. In Cleveland, Tamir Rice was playing with a pellet gun. In Ferguson, Missouri, Michael Brown stole a pack of cigarettes. When their minor infractions escalated, each was shot and killed by police in their communities. The details behind their deaths are now part of a growing catalog of facts that are reshaping the way Americans perceive law enforcement. “Where is this shoot-first mentality coming from?” said Aubrey DuBose, whose brother, Sam DuBose, was shot and killed by former University of Cincinnati police officer Ray Tensing during a July 2015 traffic stop. Tensing pleaded not guilty to murder charges and will face a jury trial starting Oct. 31. Despite heartfelt community memorials and waves of protests calling for more accountability, no one knows just how often – or why -- police in the U.S. choose to use their guns. That's because the U.S. government doesn't have a system to track officer-involved shootings nationally, and only nine states require such data to be reported. New efforts to begin to collecting the details don't go far enough, experts say, because participation by law enforcement agencies remains voluntary. “If we’re going to reduce the phenomena of officer-involved shootings, then we have to understand it better,” said Jim Bueermann, president of the Police Foundation, a D.C.-based nonprofit that advocates for improved policing across the nation’s more than 19,000 state and local law enforcement departments. When local law enforcement agencies release reports about crime in our communities going up or down, the statistics are often based on details they give to the FBI under its Uniform Crime program. But since the program’s launch in 1930, participation by local law enforcement agencies has been completely voluntary. “There is no obligation on the part of any police departments in the country, or sheriff’s departments or state police, to report to that system,” Bueermann said. The debate about how best to track police-involved shootings and other uses of force now centers around whether law enforcement data collection and reporting should be mandatory. 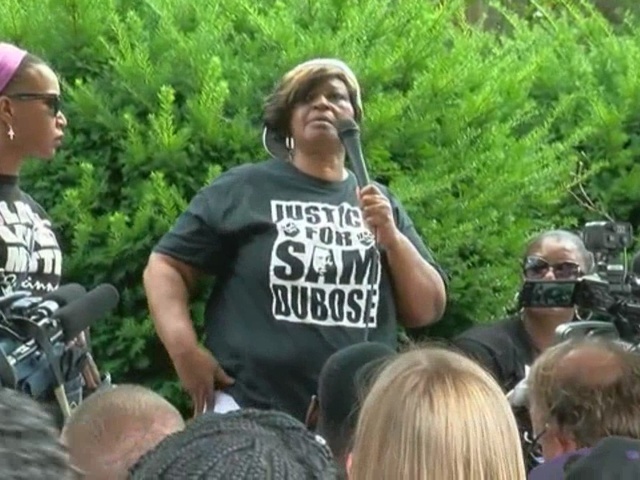 “The capacity and technology is there to do this, and the need for it, in terms of transparency, is huge,” said Al Gerhardstein, the Cincinnati-based civil rights attorney who represented Sam DuBose's family in a wrongful death suit against the University of Cincinnati. In the absence of a comprehensive tracking system, a patchwork of incomplete data collection and reporting programs exists across state and federal levels. While the FBI attempts to keep a database of officer-involved shootings, on average less than two percent of the country’s more than 19,000 law enforcement agencies report the data they collect. It's a system that's set up for failure. Samaria Rice, Tamir Rice’s mother, agreed. In December, the Cuyahoga County grand jury announced that no charges would be brought against the officers involved in her son’s shooting death more than a year earlier. The family is still awaiting the release of findings from independent investigation under way by the U.S. Attorney’s Office. A fragmented system for collecting information at the state level complicates the creation of a national database, Bueerman said. “We have 50 different states with 50 different sets of laws that regulate the police use of force and so it’s a very disconnected system for trying to understand this," he said. From state to state, the details and data collected -- such as race of the individuals involved or the availability of police body cameras or dash cams -- vary widely. Only recently have some states begun requiring that local agencies track officer-involved shootings. Months before the Baltimore Police Department arrested 25-year-old Freddie Gray Jr., who later died in custody from injuries to his spinal cord, Maryland proposed and eventually passed such a law in 2015. Four other states -- California, Colorado, Illinois and Texas -- that year passed laws requiring a state agency to analyze and provide detailed information about officer-involved shootings. So far this year, only Virginia has passed similar legislation. Two years after the shooting of unarmed 18-year-old Michael Brown in Ferguson, the state of Missouri still doesn’t have a law mandating officer-involved shootings be reported to any state agencies. In Ohio, where DuBose and Rice were fatally shot, more than 92 percent of the state’s nearly 1,000 law enforcement agencies voluntarily report use of force incidents to the state-based Incident Based Reporting System. The state is also in the process of creating an online database that will pull in media accounts, coroner records and police reports for any deadly use of force. But those efforts fall short of guaranteeing that all incidents will be recorded and analyzed, Gerhardstein said. As pressure mounts for more transparency, the U.S. Department of Justice announced plans in August to step up recordkeeping nationwide. 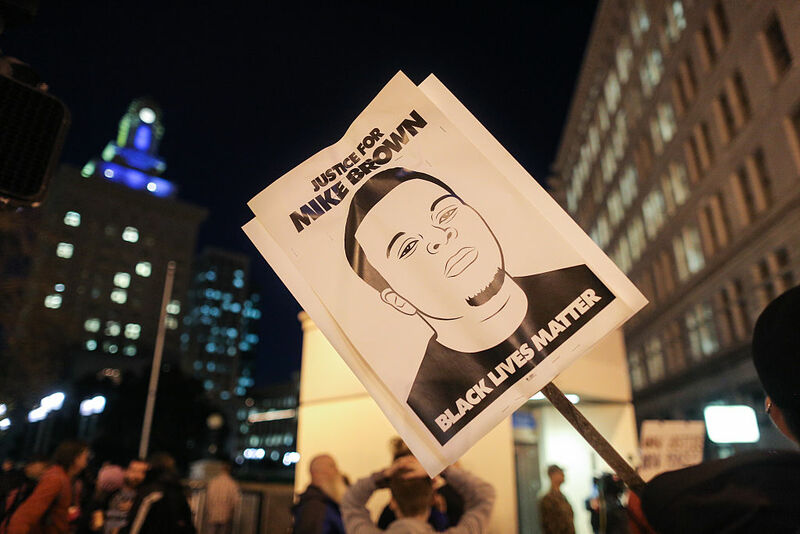 The Bureau of Justice Statistics to begin collecting data on deaths in police custody. The bureau will rely on “open record sources” for its data collection -- which primarily includes media reports, followed by requests for data from coroner offices and law enforcement agencies. But the effort has serious flaws, according to a host of national civil rights groups including NAACP and the American Civil Liberties Union, who earlier this month sent a letter to Attorney General Loretta Lynch. Until transparency improves, the public’s confidence in their communities’ policing efforts will continue to erode, Bueermann said. Focus on Force is an ongoing E.W. Scripps analysis of the local, state and federal governments efforts to track and better understand police and community interactions.